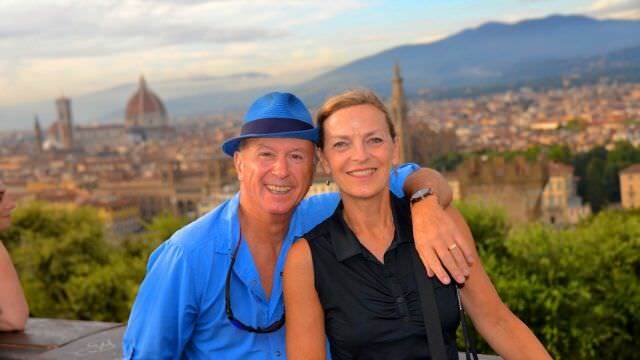 Wife and I took this week long vacation near the end of a hectic 7 week tour of France and Italy. Honestly we were both tuckered out prior to the week. We really didn't totally believe the glowing reviews for this organization so we were expecting our experience to fall short of our expectations. While in some ways the schedule seemed hectic in actuality it was a peaceful journey around Chianti country. Tour guide was fantastic and very helpful in arranging our connections from Radda to Florence and the stops were educational and fun! We especially enjoyed walking around Siena the day before the race. Now, six months afterwards, recalling many of the experiences brings a nice smile to our faces. Would we do it again? DEFINITELY!